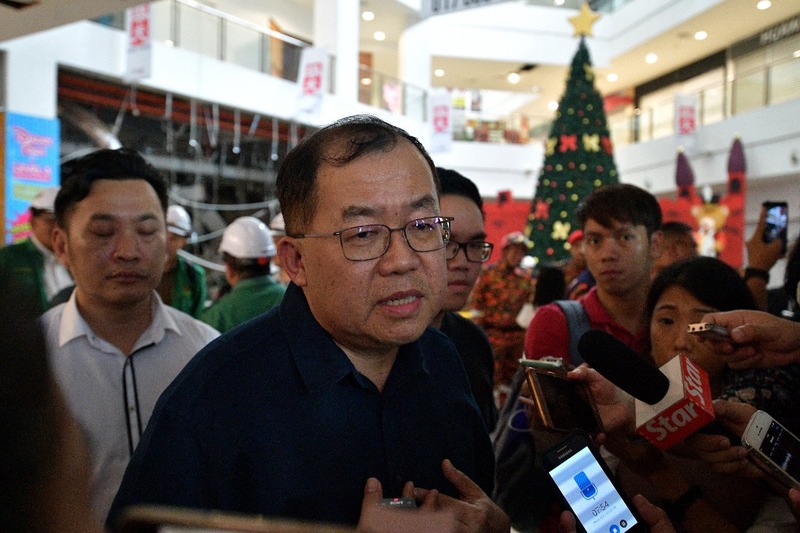 KUCHING: The CityONE Megamall here, the scene of yesterday’s gas explosion will provide financial assistance to the victims and their immediate families, said its owner Stephen Long Tine Chung. Long, whose wife Sim Ewe Kee and son-in-law Johnny Lau Sie Yan were injured in the incident that killed three people and injured 44 others, said he empathised with the victims. “We are very sad, very grieved over this incident where we lost three lives. Now what I can do is take care of their welfare, visit them in the hospital and (provide) financial support to the families of the (three) deceased,” he told reporters at the scene of the gas explosion incident here today. Long said safety was the priority of the CityOne Megamall and the workers and friends of the Nene Chicken restaurant, in which the explosion from a gas leakage occurred, were doing the final touch-up for the opening scheduled today. “Many of them were so excited, yet one explosion changed everything,”said Long, who is also the director of Kenbest Sdn Bhd that manages the CityOne Megamall besides being an enfranchiser for the Nene Chicken chain in Sarawak. He said at the time of the incident which occurred at 3.30 pm yesterday, Johnny was in the kitchen of Nene Chicken and suffered 20 per cent burns from the blast while Sim suffered slight injuries. Meanwhile Long’s son Jonathan, who was also inside the shop at the time, made an apology after his aggressive acts toward the public went viral on social media. “I was in a state of shock, everything was collapsing in front of me and the first thing in my mind was the safety of the people inside,” he explained. The three men who died in the incident were identified as O Kui Lim, 49, and Tchee Kiam Jong, 24, from here and Chin Hsien Loong, 29, from Butterworth, Penang.